NL’s Summer Collection ’16 II brings an eclectic mix of prints together with the highest quality fabrics right to your wardrobe. The choice of prints this time around was inspired by the spring/summer catwalk shows earlier this year. More than ever, this season has a strong message - one of individuality, and rich craftsmanship. This second volume of Summer Collection ’16 is for women who want to explore other cultures and appreciate their traditional design processes, which is the main objective of this collection. Incorporating themes, which are strongly inspired by the female spirit, in which the modern woman of today is the indisputable protagonist. While designing this volume’s prints, our designers have put great attention and consideration to supreme composition, the vibrancy of colors, the organic forms and the appreciation of textile design. 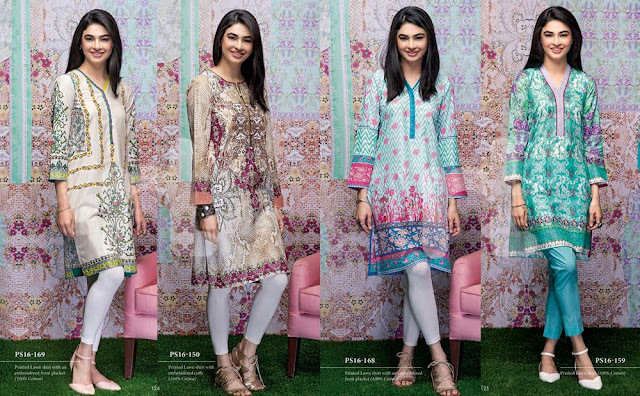 In giving each print the Nishat Linen touch, no efforts have been spared as with each of them there is a framework of different layers and an element of a mystery or surprise. The variety and depth of color stories that are told in Summer Collection ‘16, are the most varied and sentimental in a long time. Soft fabrics of ultra-feminine chiffons, silks and lawn with statement prints determine the look of this collection for the summer. Whether elegant and contained or wildly decorated, technical or natural: the main thing is a true statement and soul. This soul presents itself in a romantic light with soulful styles, finishing and dyes. look. 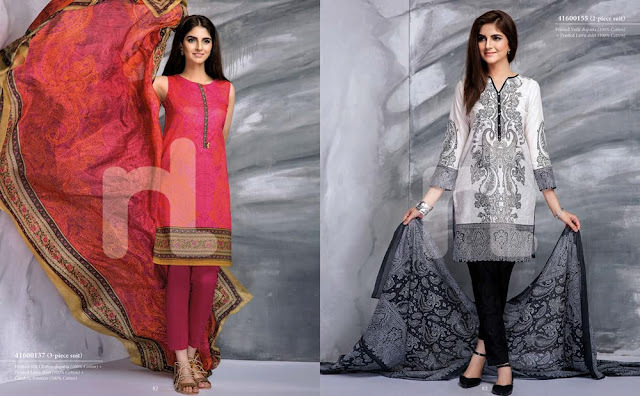 A whole range is also dedicated to pastels as well as ethnic stitches that are skillfully designed into prints. 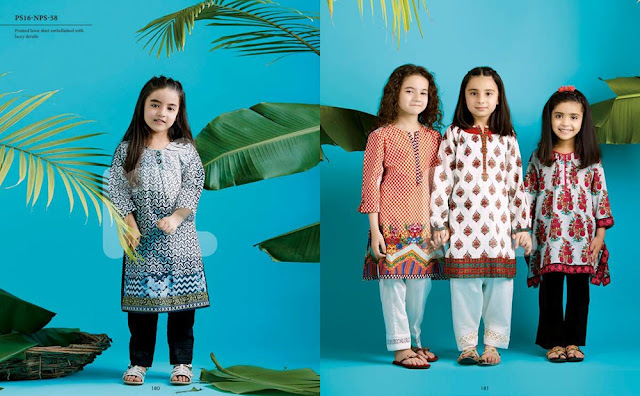 While the unstitched range NISHA has both three and two piece suits this time around for the ones who want to add their own touch of style to their ensemble, the new pret range from Summer Collection ’16 has its own story to tell as well. It has the ability to jumble together unexpected ideas, and make a new sentence of them. It is the sentence that reads: ‘You didn’t know you wanted this before—but now you will!’ Here’s presenting a whole new line of aesthetically designed, ready to wear shirts and with them, a new color palette and a bold range of hues. These shirts are a great way to enrich your summer wardrobe, with prints of the season and a much more diverse pop culture influence. The base for designing this summer’s pret collection is a combination of timeless elegance and visible naturalness. Completed with creative ideas from graphic textures, elephant art, Asian inspired prints and real functionality. Technical aspects combine with dreamy travel memories to exotic lands, color stories, great festival atmosphere and a yearning for classical influences. The result is a modern mix of fun, romance and relaxed chic that is charmed, vibrant and enchanted. Where emotions are displayed expressively in carefully developed prints, textile lightness and a subtle adaptation of technical looks that impress with versatile patterns and very haptic surfaces, casting a wide net, drawing inspiration from the past, present and future. Shades of fuchsia, Jasmine yellow, azure and many others highlight a setting of flowing nuances. Graphic saturations and aquamarine tones create the ultimate unification while accentuating variations of summer ready prints. These elaborately designed shirts communicate a new, relaxed, of-the-season relevance that the fashion-savvy woman of woman of today can totally relate to. Not to leave the kids behind, NLkids presents a great range to suit everyone and every budget, with contemporary and chic children’s wear. Each ensemble is finished in beautiful cuts, fine details and quirky prints. These cute dresses are perfect for picnics in the park or weekend parties because fresh summer prints will compliment any occasion. Dresses that look fun, bright and sweet combining classic styles with the modern ones: clothes that every girl will adore. No matter what your age, it’s time to enrich your daily lives with colorful euphoria, soft fabrics and statement making prints from Summer Collection ’16. 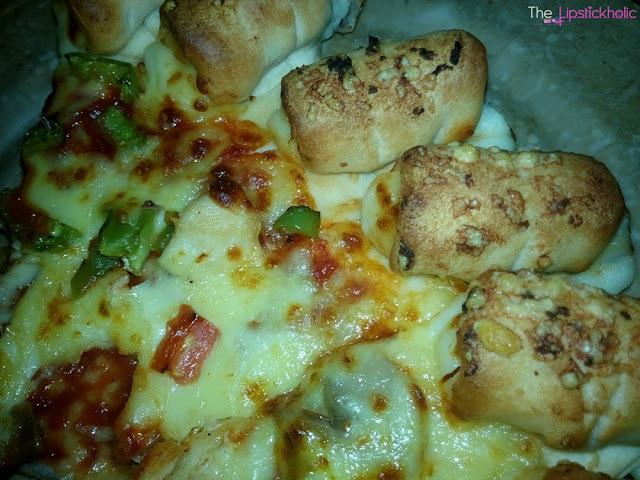 So am starting the week by sharing my experience with the new Pizza Hut Cheesy Bites Pizza. Pizza Hut, one of the largest international food chains in the country, recently launched their new #CheesyBites Pizza in Pakistan. Being a Pizza lover, I wanted to try this as soon as possible and luckily got the chance to try it last weekend. 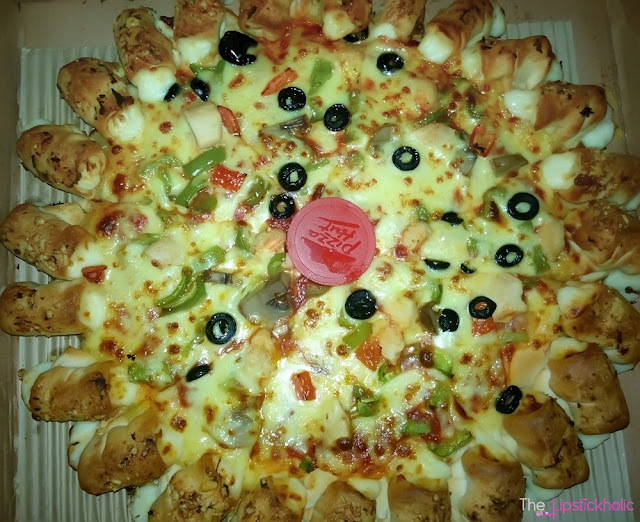 So let's get to the review and see what do I have to say about this new Cheesy Bites pizza by Pizza Hut Pakistan. I decided to order Pizza Hut Cheesy Bites Pizza in "EURO", my ultimate favorite from Pizza Hut, with Garlic Parmesan cheesy crust finishers. My order was delivered to me right on time and was oven hot. As soon as I opened the box, I took a few snaps off the pizza to share with you all. The new shape and style of this cheesy bites pizza is nice. The size off the Pizza was large and sufficient for 4-5 people. I finally took a slice of Pizza to indulge into the ultimate cheesy experience. The pizza was yumilicious and tasty like always. The cheesy crush finishers in Garlic Parmesan were a bit salty for my liking. Nonetheless, I enjoyed them to bits and think they are a nice and unique addition to the pizza. Overall, I would say, Pizza Hut has never disappointed me with the quality of their food. I really liked the new Pizza Hut Cheesy Bites Pizza. Its a treat for all pizza lovers with additional cheesy crust finishers at the end. I am going to try it with Flaming Habanero crust finishers next time. All pizza lovers should definitely try this out. Price & Availability: Pizza Hut Cheesy Bites Pizza can be ordered from your nearest Pizza Hut outlet for Rs 1,385 plus tax. You can also order online from Pizza Hut Pakistan website or by dialing 111-241-241. Disclaimer: This post contains food item(s) that were sent to me for review purpose. However, this has not affected my opinion. My review is honest and is based on my own experience with the food or company's service(s). For further information read my complete Disclaimer & PR Policy. 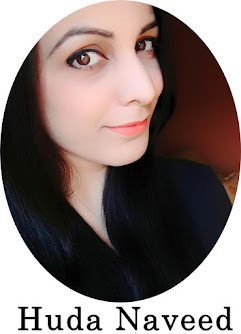 Review: Beauty UK Glitter Eyeliner in No 2 Gold...!!! Hope your week is off to a fabulous start. One of the top beauty trends this season is glitter. We are seeing glitter everywhere. From eyes to lips, to brows and nails, glitter is being used by makeup artists, experts and bloggers everywhere in their looks. Glitter on eye lids appeals me too and I love this trend. Luckily, I got the chance to try this Beauty UK Glitter Eyeliner in shade "No 2 Gold". I have been using this eyeliner quite a lot and now is the perfect time to share my thoughts on this. So let's get to the review and see what do I have to say about this glitter eyeliner by Beauty UK Cosmetics. Beauty UK Glitter Eyeliner "No 2 Gold"
Beauty UK Glitter Eyeliner comes in a thin transparent tube. It has a typical brush applicator like all liquid liners. The thin brush applicator is perfect for applying liner to the lids. Inside the tube you can see the subtle golden glitter liquid eyeliner. This glitter liner has medium consistency. It has very fine glitter particles that reflect light beautifully and give a subtle sparkly effect. It has decent color pay off. One coat of this eyeliner provides nice results. However for more intense results and greater color payoff with more glitter, I suggest going for two coats. The shade that am reviewing is "No 2 Gold" which is a really gorgeous gold shade. I love wearing this shade as eyeliner or as a glitter eye shadow on the lids. It looks equally gorgeous both the ways but I really love how gorgeous it looks when worn all over the lid. This shade really compliments brown/black eyes and I love it. The staying power of this glitter eyeliner is pretty decent. It takes about 30 seconds or more to dry properly and then stays put for many hours. I experienced no glitter fallout or no smudging with this eyeliner. However it is not water-proof and washes off easily upon contact with water. Overall, Beauty UK Glitter Eyeliner is a decent budget eyeliner that is great for beginners who want to experiment with subtle glitter for eyes. It is a versatile product and I have been wearing this as an eyeliner and glitter eye shadow (all over the lids). It is easy to apply, looks subtle yet glamorous and stays put for many hours. I surely recommend all eye glitter lovers to try this out. 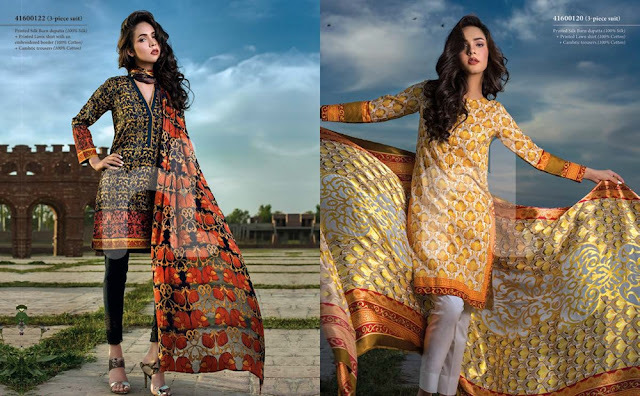 Pakistan’s leading high-street and retail brand Sapphire is set to launch the second volume of their coveted Spring/Summer 2016 Lawn collection, Summer of Sapphire. Available in stores nationwide from the 18th April, 2016, the collection is an embodiment of Sapphire signature pastel hues punctuated with quality light weight fabrics, floral and feminine prints. The collection comprises trendy silhouettes including rising hemlines and breezy wide leg pant capris and culottes. Summer of Sapphire comes in 18 designs available in two color-ways including two piece, three piece and four piece suits with a price range starting from PKR 1,650 to PKR 5,400. 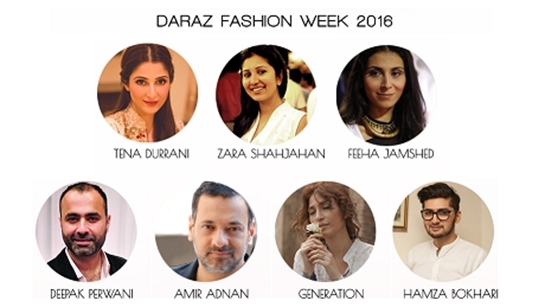 Speaking about the collection Nabeel Abdullah, Director Sapphire, said; “Keeping up with your signature style this summer is not so difficult anymore as we bring to you the continuous Summer of Sapphire. The light weight fabric made for the collection enables our patrons to withstand the scorching summer heat with volume two of our spring summer lawn collection showing our commitment to providing continuous satisfaction and distinctive designs to our beloved customers. Speaking about the collection, Creative Director Sapphire, Khadijah Shah said; “We are extremely excited to introduce volume two of our spring summer collection titled “Summer of Sapphire”. The collection is styled in a way that’s sure to kick start your summer wardrobe and make it your most fashionable ever. I invite our patrons to indulge in this luxurious stylish offering from Sapphire and break out in the prime of summer with sophistication and panache. Review: Milani Shadow Eyez 12 HR Wear Eyeshadow Pencils...!!! Milani Shadow Eyez 12 HR Wear Eyeshadow Pencils "Royal Purple" and "Lovely Frost"
Milani Shadow Eyez 12 HR Wear Eyeshadow Pencils come in form of jumbo crayons/pencils. These chubby sticks or pencils are not twistable or retractable and need to be sharpened manually. I wish these were retractable. Nonetheless, these are easier to sharpen, apply and use. These eyeshadow pencils feel very creamy and apply very easily and smoothly. I didn't experience any tugging with these during application. These pencils are super-pigmented and provide great color payoff in just one swipe. These are easier to blend unlike most of the pencil eye shadows. These can be used as eyeliner, eye shadow base and eye shadow. The staying power of these pencils is really impressive too and these last almost all day long without smudging and are also water-proof. The shades am reviewing are "Lovely Frost" and "Royal Purple". Both the shades are highly pigmented. "Lovely Frost" is a nice metallic silver shade and has metallic finish. 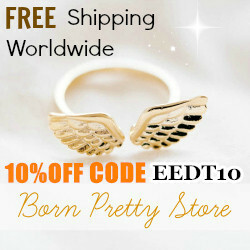 Its really gorgeous and I love it. The other shade "Royal Purple" is a very pretty semi-matte purple shade with very fine shimmer which gives it a nice duochrome effect. I love both the shades. However the shade "Lovely Frost" does tend to crease a bit because of its extremely creamy texture and formulation. So you need make sure it sets completely before you open your eyes. Also make sure to apply a good primer beneath to avoid creasing. Milani Shadow Eyez 12 HR Wear Eyeshadow Pencils "Lovely Frost" and "Royal Purple"
Overall, I really love these Milani Shadow Eyez 12 HR Wear Eyeshadow Pencils and have been wearing these a lot lately. These are intensely pigmented, long-lasting and are easy to apply and use. These pencils are versatile and can also be used as an eyeliner or eye shadow base. The only downfall is the slight creasing that I experienced with shade "Lovely Frost". Nonetheless, I love these and will be picking up more shades from the range soon. Price & Availability: Milani Shadow Eyez 12 HR Wear Eyeshadow Pencils are available online at Beauty Arena for Rs 1095/- each. 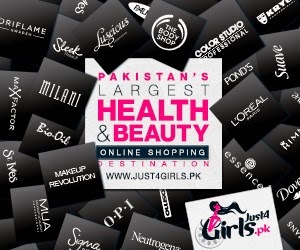 Don't forget to check out the complete variety of Milani Cosmetics available at Beauty Arena.